Looking for an easy, delicious Valentine’s Day treat? 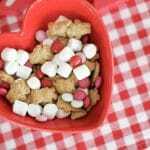 Try these Valentine Chocolate & Cherry Popcorn Treats. Also, be sure to visit these posts for more Valentine’s Day crafts, activities and snacks! 1. Mix popcorn and cherries in a large bowl. 2. Melt marshmallows, butter, and white chocolate in a large saucepan. Cook over low heat until melted and smooth. Stir in a few drops of red food coloring (optional) to make the mixture pink. 3. Pour marshmallow mixture over popcorn and toss gently until well coated. 4. With wet or buttered hands, press mixture into a 3-4 inch pre-greased heart-shaped cookie cutter. (Keep cutter on a foil-lined baking sheet or on wax paper). Press in the popcorn and lift cutter off. 5. Insert a lollipop stick into the base of the heart. 6. 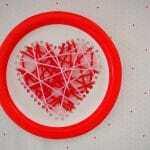 Allow popcorn hearts to completely cool. 7. Once the popcorn hearts are cooled, melt chocolate chips and drizzle over hearts. Allow to harden. 8. 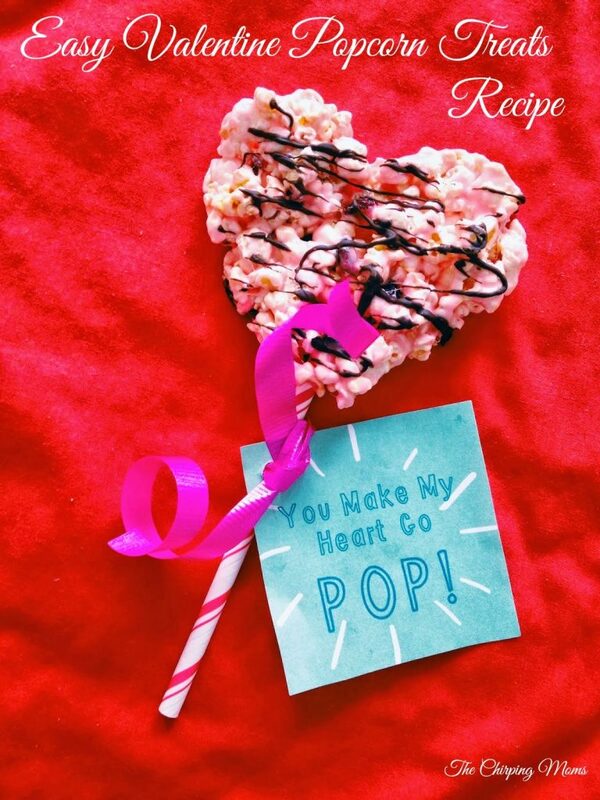 Wrap popcorn hearts with cellophane and tie with ribbon! 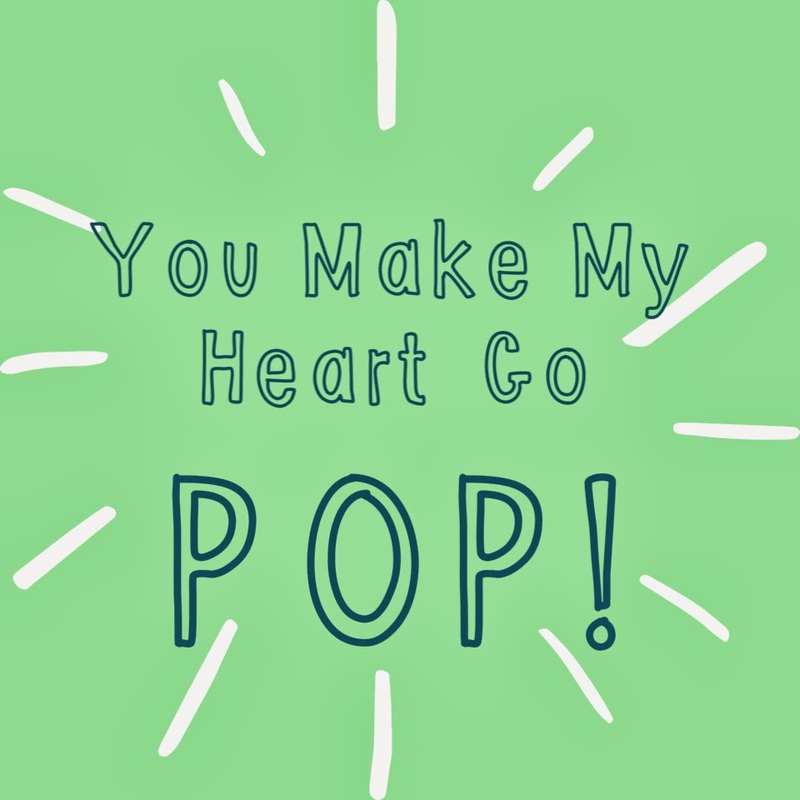 We are also sharing a fun free printable to add to a special Valentine popcorn treat! To Print: Click on the image below, then right click & open in a new window. You can either save it or print it from there. Make sure you scale it down when printing, so it’s the size you want for the bag of gummy bears you will be using. Make sure to visit Jolly Time for more recipes, flavors, and inspiration as the company celebrates it’s 100th birthday this year! 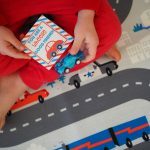 Disclosure: We were not compensated for this post, however we did receive Jolly Time products to use. As always, all opinions are our own. Could this be any cuter? 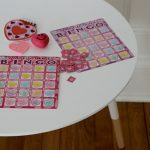 My playgroup is having a Valentines day get together and this would be perfect!